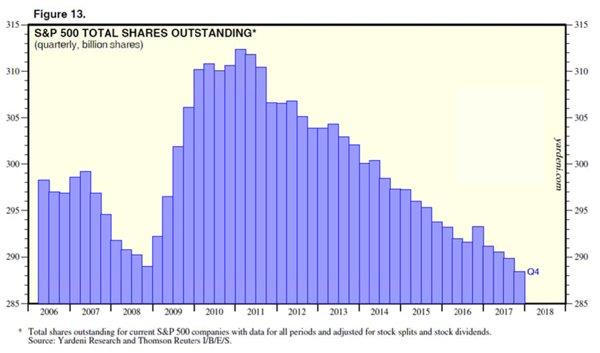 Expect a coming M&A corporate focus using inflated stock as the takeover currency to answer slowing corporate growth .... further reducing listing and outstanding share pools. Expect market rotation from Growth to Value in the near term versus the final Topping of the equity markets. Too many investors have become fixated on stock Demand Growth due to global central bank liquidity injections, record high investor sentiment and (thanks to the sugar high of Trump Tax reductions) improving US Economic data. No doubt all have been important! 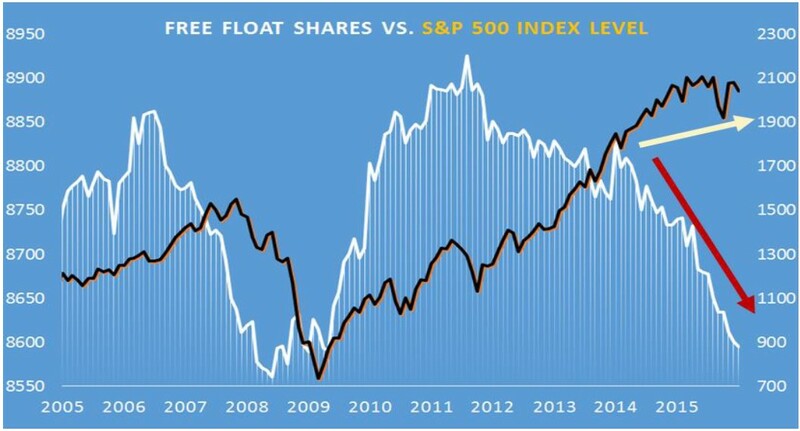 However, it has become increasingly critical to properly assess Shrinking Stock Supply to know both why the stock market may still continues rising in the face of Quantitative Tightening and what consequentially might trigger an equity market reversal. The Three Major US Stock Market "Pools" are all shrinking in a dramatic and stealth fashion. Stock markets have in recent years been shrinking by listings (but not by market cap). According to data from the Center for Research in Security Prices at the University of Chicago Booth School of Business in 1996, there were actually 8,023 public listed US corporations. This has been reduced to 3,627 by 2016 or a 55 reduction%. This is not unique to just the US. In Germany for example the number of listed firms fell by 41 percent during the past decade alone , to only 450. Increasing Buyouts and Control Blocks by Private Equity. Also many companies are going “all the way into oblivion" by buying up all of their shares over time and "Going Private" or "Dark". Many executives & boards have simply become tired of the quarterly “rat race” of reporting numbers which may “beat” or “miss” the expected earnings target by a penny or two and so the stock gets hammered. They don’t want to manage toward quarterly expectations, which they consider to be an unhealthy short-term focus for a company’s long-term health or are forced to divulge more information on Intellectual Property and Innovation advantage secrets than they want (giving both investors and competitors insights) and so they keep the company private or take the company private. 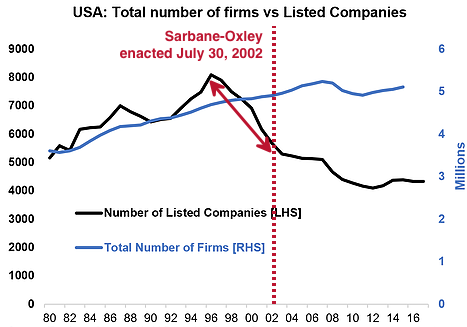 Additionally, the punitive legal liabilities associated with Sarbane-Oxley for publicly traded corporate executives is also a major dis-incentive that can't be understated. 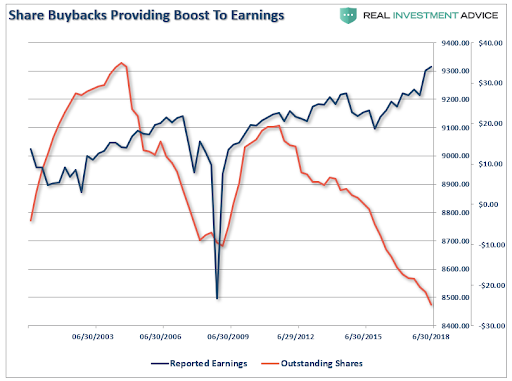 But the even bigger Kahuna is Buybacks or the actual reduction of shares outstanding by major public traded entities. As big as $3.5 trillion in buybacks has meant over the last 5 1/2 years, it has only got larger in 2018 due significantly to Trump's Tax changes and US corporate repatriation of their off-short cash. It is anticipated by Goldman Sachs that stock buybacks in 2018 will approach $1 Trillion. 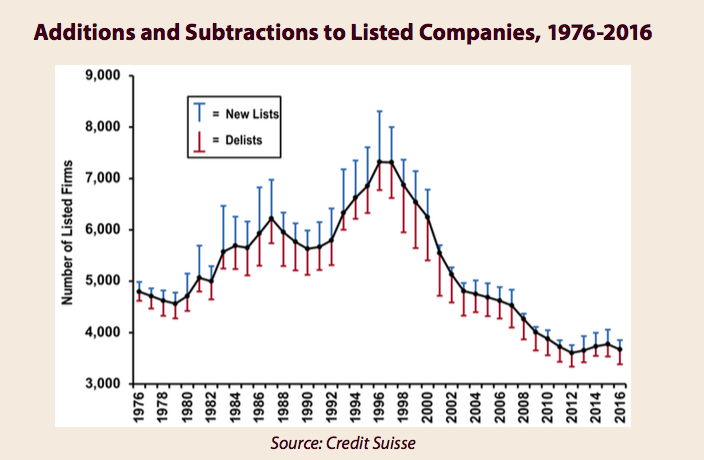 Historic low interest rates presently continue to spur corporate borrowing via historic levels of debt issuance. The stock pool reduction is the one pool least understood or fully appreciated. In 2005 the US markets were changed to a "Float Adjusted Market Capitalization" system. This change in 2016 had the effect of reducing the public float by approximately $1 Trillion! The market Float is the number of shares actually available for trading. Float is calculated by subtracting the closely held shares -- owned by insiders, employees, the company's Employee Stock Ownership Plan or other major long-term shareholders -- from the total shares outstanding. The Float can be difficult to determine and therefore requires and depends on definitions. The public is unaware of how this is determined and generally have to pay service providers for this information. We encourage you to review our recent 16 minute video outlining the details and possible games being played here. Any individual person listed as a 5% or greater stakeholder in a company as reported in regulatory filings (a 5% threshold is used as detailed information on holders and their relationship to the company is generally not available). 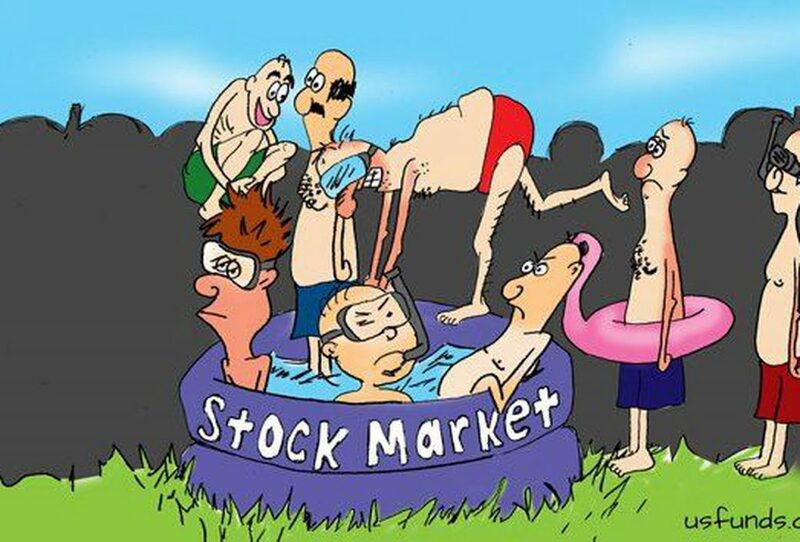 There is much more than just shrinking "Pools"keeping the market supply shrinking which include the failures of an obsolete accounting system and the changing role of public exchanges in the overall "capital raise" process. We suspect due as a result of our research on Zombie Corporations (here, here & here) that M&A will be the answer soon sought to slowing corporate growth (using inflated stock as the currency) which will further aggravate the shrinking stock pools phenomenon. All of the above and more is explored in this 21 minute video.